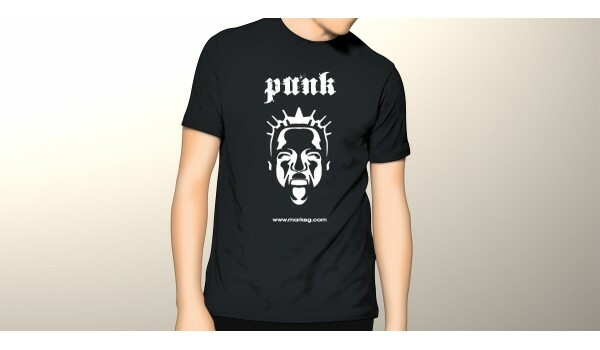 Stylish, edgy and perfect for the club - this new 'Punk' T-Shirt from Mark EG's new 'Anarchy Range' will have you looking and feeling great. 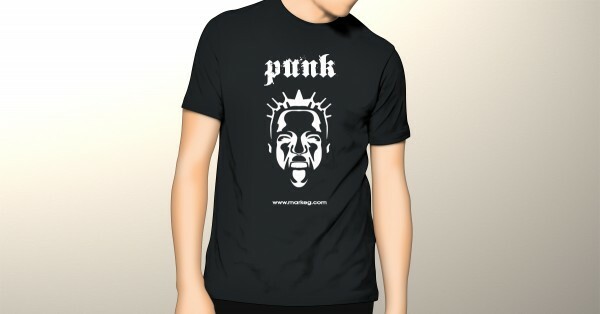 Created to 'stand out' from the crowd as well as to make a musical statement, this comes in all shapes and sizes. Premium quality. Returns are accepted if you contact us via the form at the bottom of the site within 7 days - and the garment is unused returned in its original packaging.